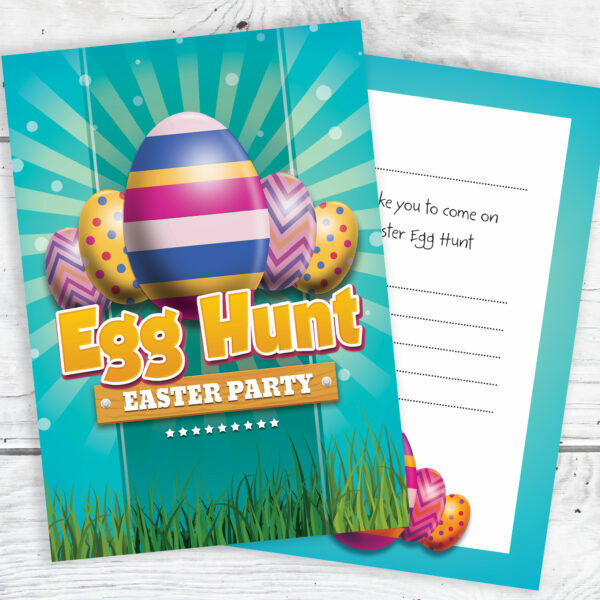 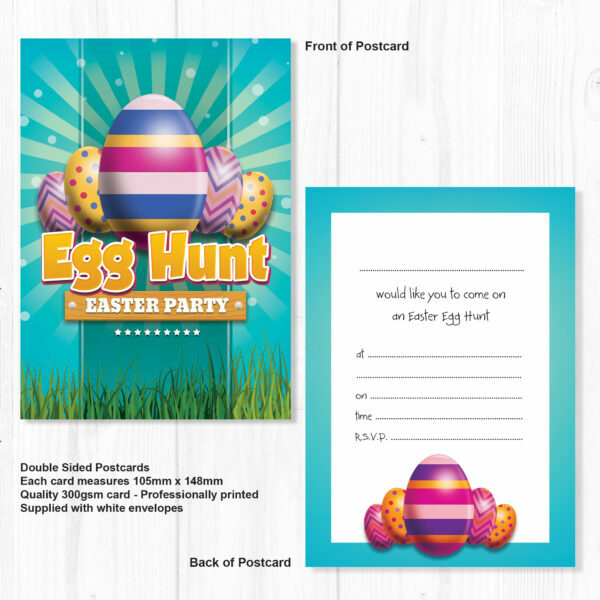 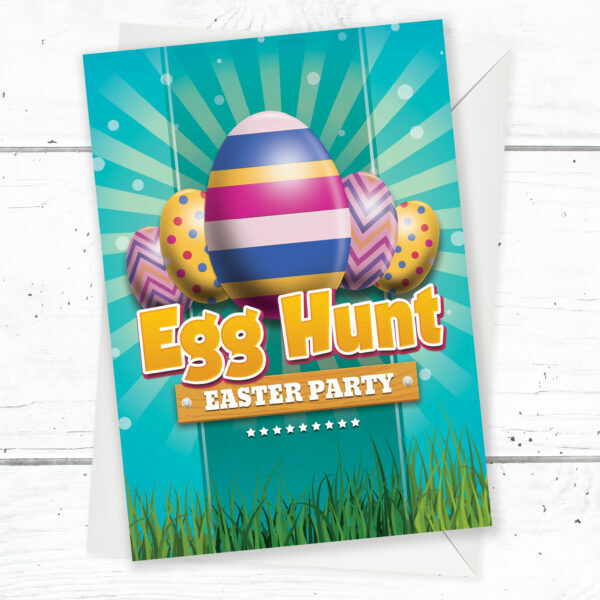 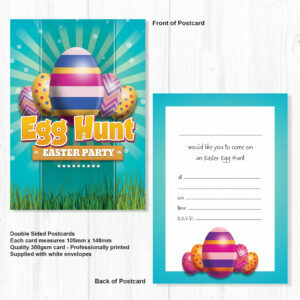 A pack of 10 high quality Easter party invitation cards and envelopes. Perfect for an organised Easter egg hunt. 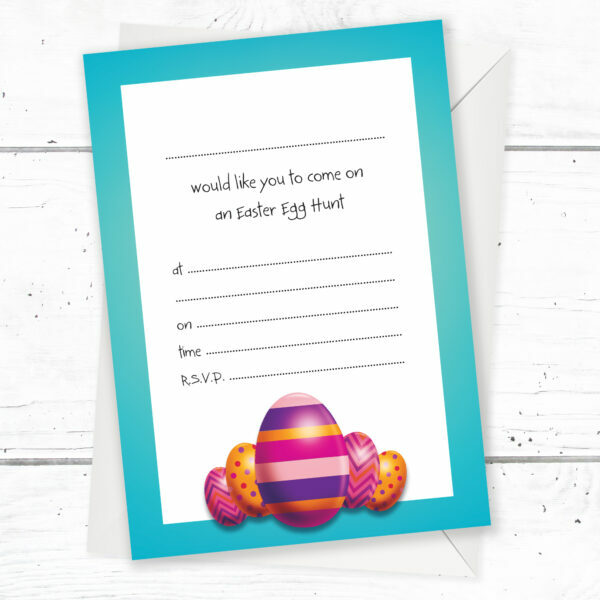 The A6 cards are ready for you to write your Easter party details on the reverse. Printed and packaged in the UK by Olivia Samuel.